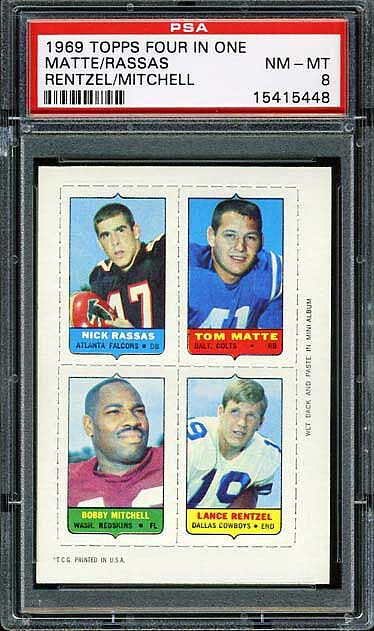 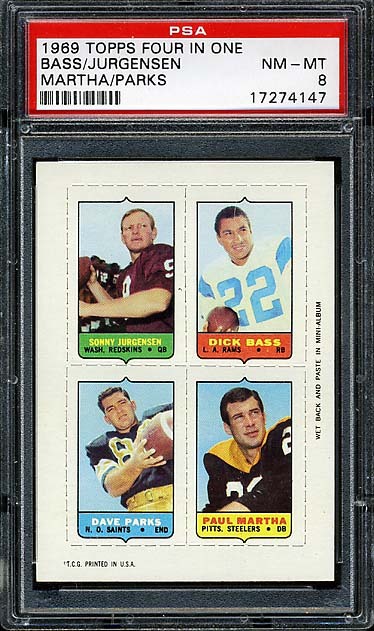 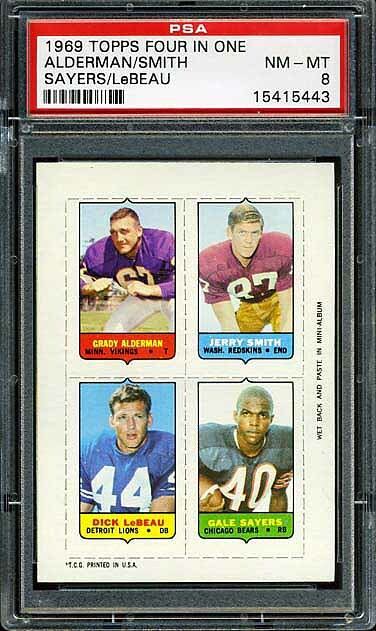 This is a pretty cool insert series that Topps issued in 1969. 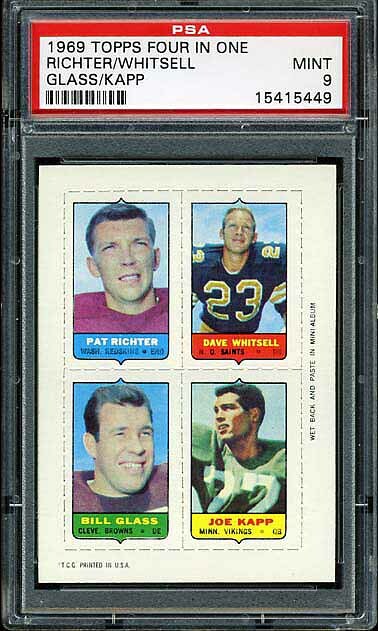 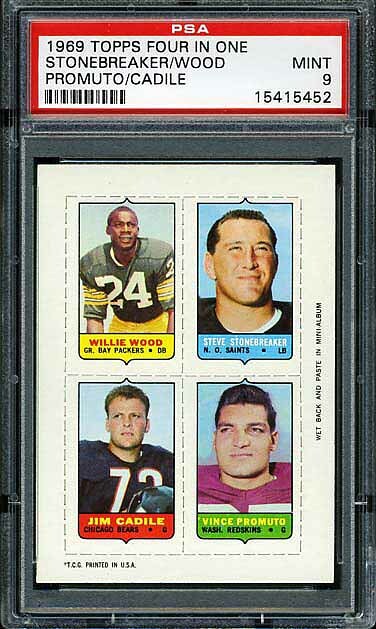 Each card contains four mini-cards done in the same style as the larger 1969 cards. 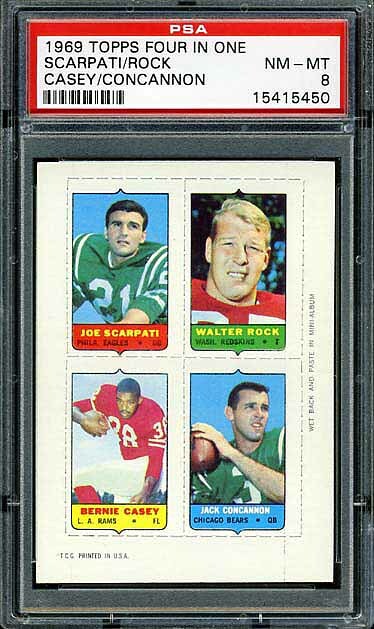 There is an album for each team that you can paste the mini-cards into. 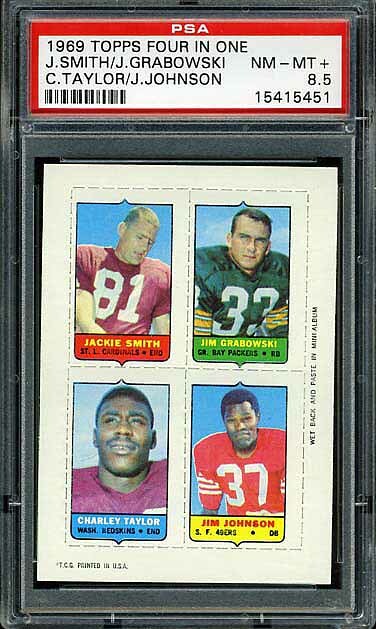 What is interesting is that there are players included in the mini-card set, that are not included in the main set. 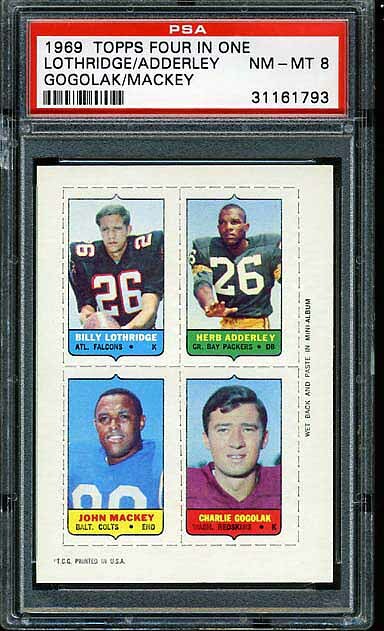 For example, the key card to the Redskins team set is the Chris Hanburger card because Bryon Piccolo also appears on that card. 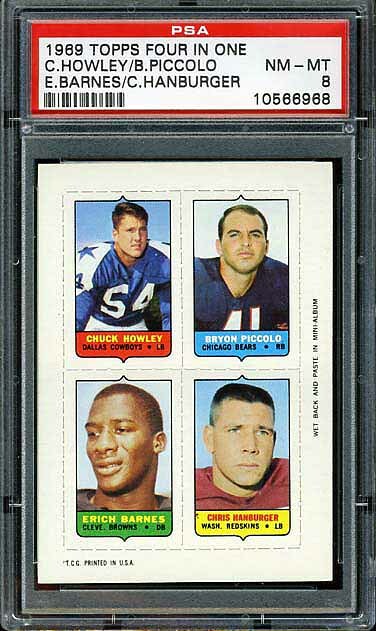 This is the only Topps card of Bryon Piccolo. 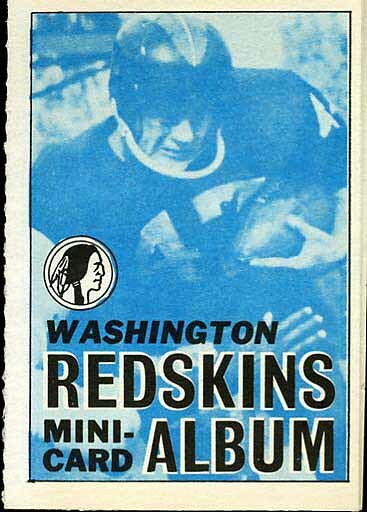 The full Redskins team set appears below along with the team album. 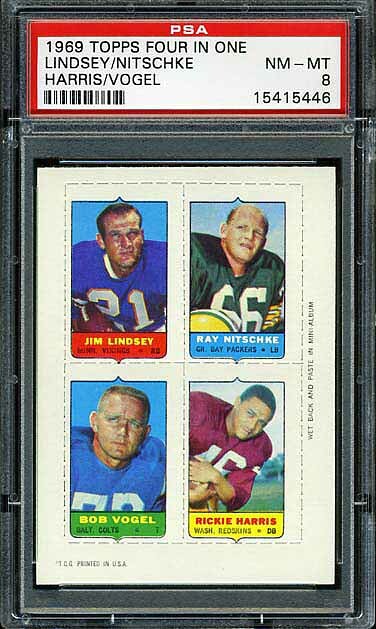 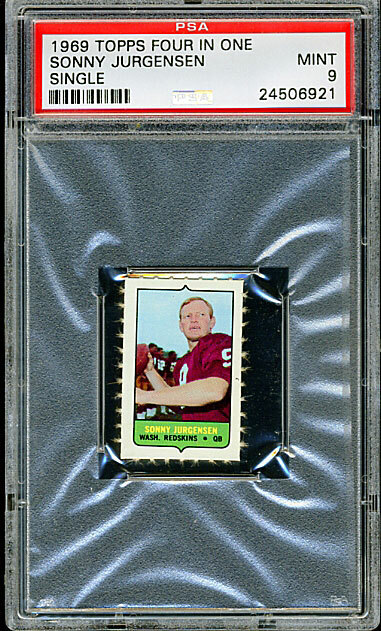 I also included a single card version of Sonny Jurgensen.